If you are a leader of others, I want you to stop what you are doing for a moment, and reflect on this question. And I want you to be honest! At work, is every member of you team able to use their personal strengths every day? What are the strengths of each of the members of my team? Have I recognised these strengths as strengths? Do they recognise these strengths as strengths? What situations are part of their day that give them an opportunity for them utilise them? Are they getting the chance to do what they do best every day? These are tough questions to answer – but as a leader, you do have a responsibility to find the answers. Creating an environment where our teams can be their best is one of the most fundamental things leaders need to do! What do I mean by strengths? As shared in a Huff Post blog by Susan Peppercorn, ‘we intuitively understand that strengths are something we’re good at, something that takes less effort than things in which we don’t excel. Strengths, however, are more than what we do well. Strengths also energize us. Did you ever notice yourself involved in something where you lost track of time because you were so engaged? That’s an indication that you were using one or more of your strengths. 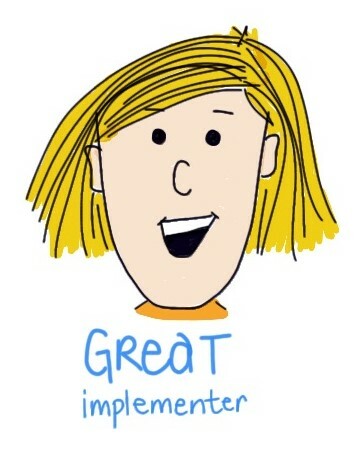 Strengths that are energising align with your values.’ So…strengths are things we are good at and actually enjoy doing! Some of the ViA Character strengths include creativity, curiosity, perserverance, a love of learning, teamwork and hope. 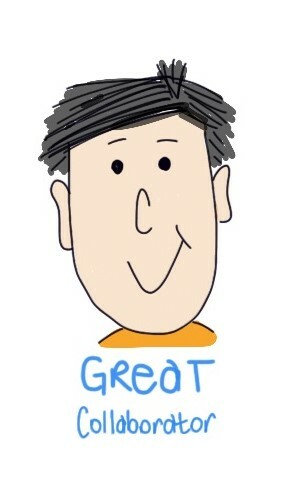 Some of the ‘At my best’ strength examples are dependable, sincere, fair, detailed and passionate. Those in your team may be good collaborators, able to pull disparate ideas together, are able to keep going when they hit a setback, are able to identify possible risks. The strength might be a talent, a part of their character, something or someone they know or something they can do, and ideally, something have an interest in! Everyone has things they are good at! Unfortunately many people don’t have an active awareness of what their strengths actually are! And even more don’t realise what can happen when you truly harness them. The ‘Australian tall poppy’ concept can actually backfire on us – humility is a virtue but not at the expense of misunderstanding excellence! On top of that, many of us have a strong ‘negativity bias’. We focus more on what is not working rather than what is. And as some of our DiA participants reflect when receiving feedback about their leadership behaviours, some of us only see constructive feedback as useful feedback. Hearing about what we do well can make us feel uncomfortable, or worse, many don’t see it as valuable. Studies have shown that people who get to use their strengths often feel more confident, motivated, energised, and satisfied with work. They are more engaged, innovative, creative and accountable. And people who get to use their strengths often are more resilient, healthier and experience lower levels of stress. And after studying 20,000 people around the world, the Corporate Leadership Council (2005) found that conversations between managers and staff that focused on staff strengths (the things they enjoyed and were good at) led to an average improvement in performances of 36% for a period of time after the conversations. However, if the managers had performance conversations that focused on their staff’s weaknesses (the things that needed fixing) people’s performance actually declined by 27%. And in a study published in HBR in 2018 exploring employee retention at Facebook, people didn’t just quit their ‘boss’ – as is often the saying, ‘they left when their job wasn’t enjoyable, their strengths weren’t being used, and they weren’t growing in their careers’. 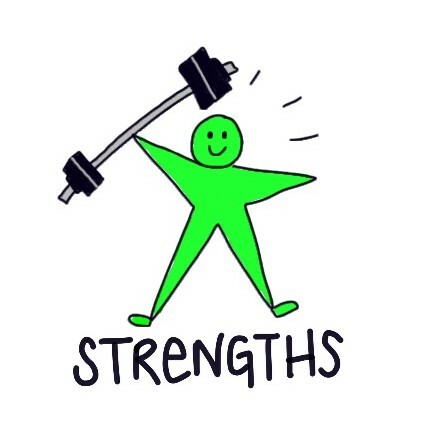 So focusing on strengths helps to bring the best out of your team members, and helps ensure you keep your best people! What I can do as a leader? Many people don’t have an active awareness of their strengths. Leaders taking the time to notice and recognising the strengths of each team member is one of the first things to do. Make the time to talk about strengths with each team member. Suggest they seek some feedback from others who they often work with. What strengths do they see? You may also encourage them to take a strengths audit – using one of the great ViA (free) or CliftonStrengths strengths tools. Talk with your team member and collectively explore ideas about more opportunities where your team member could use their strengths more often. Even if it is for 15 more minutes per day! Studies show even a short increase in time using strengths has huge benefits! Coach your team member with conversations that help them focus on their strengths. Look for the coachable moment – and touch base often. ‘Employees are seven times more likely to be engaged when they report that their managers are aware of the tasks and projects that they are working on‘. This is likely to be even higher when team members are working on things that they really care about and enjoy! And role model a strengths-focus within your team. Share what you see as your strengths – and seek some feedback on them from your team members. Share how you try to use them each day. Use strengths language in your daily dealings, and encourage team members to do the same. Encourage them to provide positive feedback about the strengths they see their team members using at work. Cultivate a strengths culture. This might help a team member realise an unconscious talent! We all have good days – and bad days at work, and the moods that follow influence our engagement levels…How much effort do I want to put in to this task? Whether the motivator is achievement, purpose, mastery, recognition or something else – giving your people more opportunities to use their strengths every day facilitates moments of self validation and satisfaction which are such powerful ways to help get the best from your people! If you’d like some help exploring strengths, for yourself or your team, please contact melanie@discoveryinaction.com.au or paul@discoveryinaction.com.au. We can help with team discussions about strengths, and we also provide one-on-one coaching services. ← Practical Leadership Actions #5: How do I ensure clear roles and expectations?